WASHINGTON — As Maryland looks for ways to tackle congestion on Interstate 270 and the Capital Beltway, a proposed bill aims to straighten out plans to expand the often-gridlocked roadways. The bill is tied to Gov. Larry Hogan’s $9 billion plan to relieve traffic in the region, announced back in 2017. The plan could include widening the Beltway, I-270 and the Baltimore-Washington Parkway by adding additional lanes through public-private partnership. But before the public-private partnership can move forward, House Bill 91 asks for a completed environmental impact statement and a chosen alternative. “The reason the presolicitation report should wait is because the EIS (environmental impact statement) process will provide a lot of information about cost, time, land need, environmental mitigation, other important factors about the project so we can understand what it is we’re doing,” said state Del. Mark Korman, D-Montgomery County, at a joint committee hearing Tuesday. Before he spoke in support of the bill, Korman emphasized that he did not like traffic and dreaded his commute. But, he said Hogan’s plan has raised many questions that have gone unanswered. “What’s the cost of this project? The numbers $9 to $11 billion have been thrown around, but no real explanation of the basis of those figures,” Korman said. Other questions included the cost of potential tolls, plans for arterial roads and concerns around the possibility of homes being taken along the proposed route. Hogan did say last year that the state did not plan to take and raze anyone’s home, but Korman said the Maryland Department of Transportation still needed to explicitly commit to that. He added that if properties would go untouched, then how would a widening happen in a tight space? “These require answers, answers beyond ‘our private partners will figure it out with magic private sector pixie dust,'” Korman said. Though there is a National Environmental Policy Act process underway, Korman said the proposed bill wants that process to be completed in order to have a better understanding of the project’s scope. “This bill does not kill the project. This bill does not foreclose the use of public-private partnership for this or any other initiative. This bill does not foreclose the use of tolls, either for this proposed project or any other. And, this bill does not create a new layer of bureaucracy,” Korman said. In opposition to the bill, Transportation Secretary Pete Rahn pointed to the numerous studies that have already happened over the years. “We have additional studies that have occurred over the last 25 years of these corridors, and the fact is every one of them has concluded that expansion of the Capital Beltway and I-270 were necessary, including additional investments in transit,” he said. Rahn said that Hogan’s approach to improving transportation already included transit options such as the Purple Line and more funding for Metro. All that was next was better roads. “What we are missing is the investment that all of these have called for in our highway infrastructure around the capital region, and that is what we’re trying to address with this public-private partnership in a way that we can actually achieve construction,” Rahn said. He argued federal best practices actually encouraged states to conduct environmental reviews in parallel with the procurement of projects to move the process along faster. “We are facing a serious crisis for transportation within our region and that’s the reason for us to move forward with all due diligence,” Rahn said, adding that it was estimated most of the Beltway and I-270 could be in gridlock for even more hours by 2040. 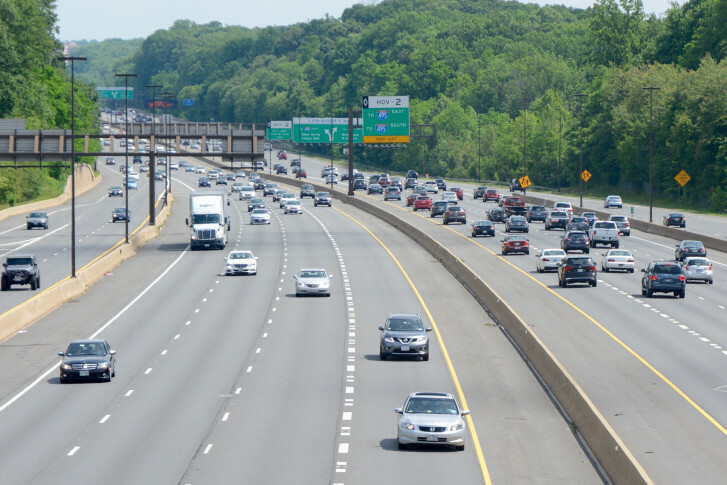 In December, Maryland’s Board of Public Works had already approved a $90 million contract to begin the process of widening I-270 and the Beltway. But local government officials and residents in affected areas remain skeptical. “I think we’re going to investigate it very closely and make sure our local communities aren’t adversely impacted by whatever decisions (are) made by the administration,” Barve said. WTOP’s Kate Ryan and Jack Moore contributed to this report.